8Rental is a very famous passenger’s transportation supplier, as for provided service is thankful for every new passenger. 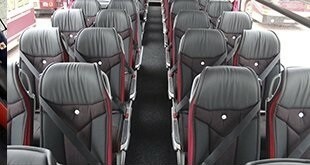 Hire a coach with a driver in Gdansk & find out how many opportunities & advantages does 8Rental provide. 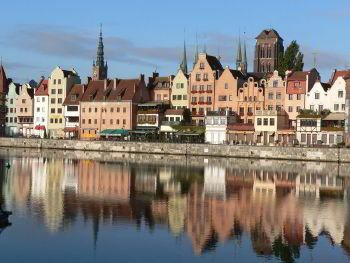 Smiley chauffeur will meet you in Gdansk & drive to every desired destination. Once you visit Gdansk, it's impossible to forget it. You will remember narrow cobblestone streets, red-tiled roofs & figured turrets of churches, from which from time to time a gentle bell ringing sounds. During your tour, the "Main City" will be noticed. 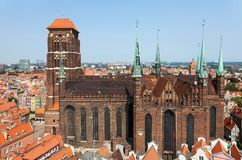 It contains all most important monuments of Gdansk history & culture. High & Golden Gate opens the traditional path - the Royal Road. Standing on both sides elegant stone houses, once belonged to wealthy merchants, as well as to the well-born townspeople. Polish kings visited those residences; grandiose balls, tenders, ceremonies administered courts. Zhurav - a construction, combining several functions - city gate, defensive tower & port crane. It was also used to mount masts on ships. Zhurav is one of Gdansk's symbols. Famous Gdansk sights are the Great Arsenal - weapons & military equipment warehouse. Also worth to take a stroll along the Long & Fishermen's Quay, see the pride of modern Gdańsk - Virgin Mary street, visit the Solidarity Square & the Dead Shipbuilders monument. Gdansk is the custodian of a unique rarity - an astronomical clock. Having a fifteen-century history, this large (14 meters) timekeepers include a calendar that takes into account free holidays for several years, & also displays images of over ten planets. The standard coach with driver is employed to save tourist’s funds. 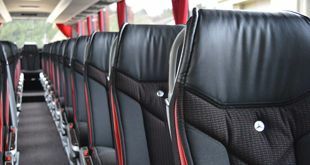 Hire the regular chauffeured coach in Gdansk & organize your trip correctly. Big companies hire a business bus with a driver as this variant suits for business trips. The bus is equipped with high-tech elements. Chauffeurs are always tidy & never are late. Human Resources Department has strict rules & own regulations how personnel &chauffeurs should be organized. Driver license is the main thing drivers & chauffeurs are verified. Hire chauffeured driven vehicle & discover how professional 8Rental’s team is.